Does the ever-expanding list of Hispanic dishes make you want to learn phrases like “¿Cuándo vamos a comer?” If so, Spanish might be the major for you. Spanish is the second most commonly spoken native language in the world, one of the six official languages of the United Nations and is the official language of over 20 countries worldwide. In fact, Business Insider named Spanish the most useful second language for American citizens to learn. Don’t fret—Sparknotes does have a page for Don Quixote. Spanish majors do a lot more reading and writing than you may anticipate, but once pre-reqs are done, get ready to talk. You will more than likely become much more worldly and cultured than many of your pre-med friends. Once your four years have flown by, you’ll have friends across the globe, cultural exposure and the ability to act as a liaison between speakers of both your native language and Spanish. ¡Estarás listo para la vida! 3) “The Spanish major can open a ton of doors in various aspects of your personal and professional life. It got me involved in volunteer groups and activities such as peer tutoring and doing translations for the local high school curricular guide. It enabled me to feel comfortable using Spanish at work, including a nine-month stint after graduation at a medical clinic for the indigent, largely Spanish-speaking population in my hometown and serving as a counselor in a summer language enrichment program for Virginia high school students.” – Jodi Lebolt, Washington and Lee, ’12. It’s true, Spanish majors might not have the vast selection of job opportunities available to engineers or business majors. However, being fluent in Spanish will help you land jobs in many different fields. Teaching can be a great way to share your love for Spanish with others. “I really enjoy the whole scope of teaching the language and getting to watch others have fun with it. I get to teach about geography, linguistics, geopolitics and history. All of those are important when looking at how a language is spoken rather than just verbs and nouns on paper,” said Spanish teacher and University of Vermont graduate, Andrew Leiberman. If you’re interested in traveling, following stories, speaking to locals and maybe even being on TV, look into foreign correspondence. Foreign correspondence is essentially overseas journalism—covering stories abroad while reporting for an American publication. You’ll get to interact with cultures while being the voice that disseminates information. Two birds, one stone. You could be the voice of a nation. Diplomacy is a ripe option as a Spanish speaking American since the U.S. is near so many Spanish-speaking countries. You will be negotiating border treaties, working to get visas for citizens and represent the interests and policies of the U.S. With so many components to the job, working on American relations with neighboring states will always have job security. Get your passport ready. If you want a less stringent career and more interaction with people, put the tourism industry on your radar. Working in tourism — as a tour guide, hotel owner, cruise director or something similar — allows you to be the person who makes or breaks family vacations. This industry caters more to Spanish majors who want to establish homes in Spanish-speaking countries, rather than those with the “travel bug.” Who wouldn’t want to live in paradise? A significant part of business is importing and exporting goods and services to and from other countries. Part of that process involves traveling to other nations to strike business deals. 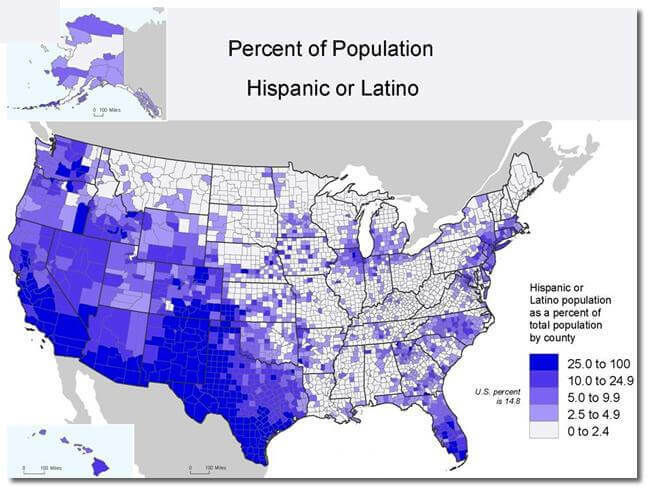 And guess what language many Hispanic businessmen and women speak. Spanish. You’re set.